“Strong-willed heart, always makes me feel so touched. 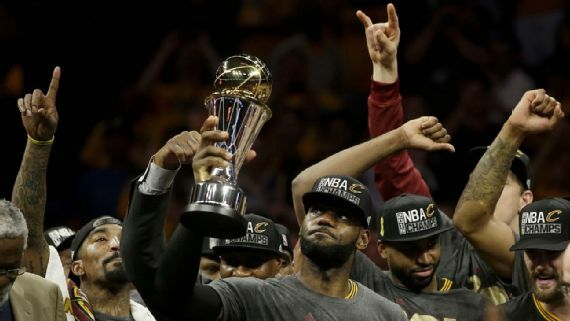 "He shot just 9-for-24 in the biggest game of his life, but his all-around genius carried the Cavaliers on both ends. There has never been a force quite like him in basketball: double figures again in rebounds and assists; the ability to switch across all five positions on defense; and the nastiest rim protection ever from a wing player. 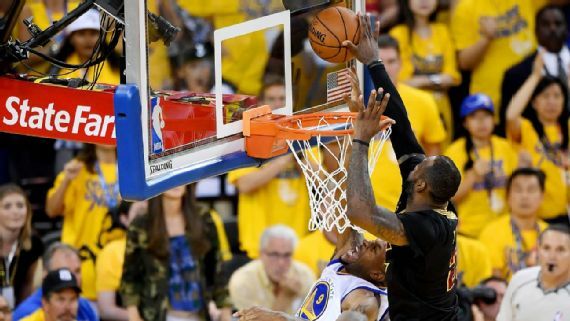 His chase-down block of Andre Iguodala that preserved an 89-89 tie with 1:51 left will go down as one of the grandest defensive plays. The moment so overwhelmed Boylan that even as the Cavs streaked back the other way, he turned to the coaches sitting beside him and declared LeBron's block the best play he had witnessed on any level." 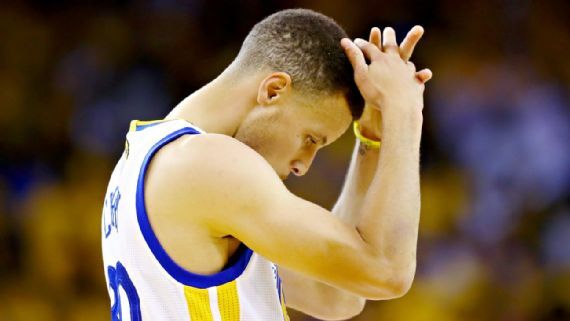 Of what he might take from Golden State's collapse, a process that ended with the Warriors unable to make a field goal in the final 4:30 minutes of Game 7, Stephen Curry said, "I won't watch the film of the game because it'll bring up too many bad memories. ... But understanding how I can control the game better and whether or not I'll be in that position again, I know I'll be better." Curry was rightfully humbled by his team's collapse in the last four minutes and his missed shots played a role ~ but King James block of Andre Iguodala's shot in the last 2 minutes was a resounding message that this was King James night ~ and he was not going to be denied. Single minded sacrifice, intention and purpose are the qualities of true heroes, both spiritually and athletically, and eventually can become the stuff of legends.